This entry was posted on December 6, 2017 by Van Rental. It isn’t the best-known service, but hourly van hire is very popular. It’s obvious why. Trips home from B&Q, trips to the tip, furniture deliveries — they only take an hour or two, but are often impossible in a family car. 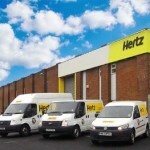 One of the leaders in hourly van hire in the UK is Hertz. 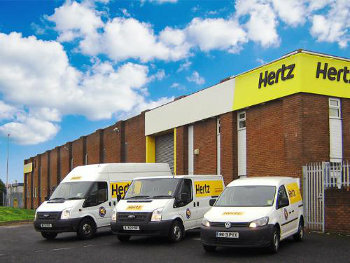 The Hertz 24/7 hourly rental service is available at popular locations such as B&Q, Brunnings, Costco and Ikea. But you do need to register for this service before you can use it. To make life easier for its customers, Ford will now offer the Hertz 24/7 service through the FordPass app. I have to admit I wasn’t familiar with this before today. FordPass is a system for Ford owners which provides live traffic data, assistance with problems, online service and repair scheduling and other useful tasks. At the time of writing, Hertz 24/7 hourly van rental prices start at just £13 per hour. Ford and Hertz are also offering a £10 credit to FordPass customers for their first Hertz 24/7 rental, using the voucher code 1068 (valid for rentals completed by 31 January 2018). This entry was posted on May 16, 2016 by Van Rental. Book a van with Hertz Van Rental this week and SAVE up to 20% with this discount code! This fantastic saving is only available for bookings made from the 16-23 May 2016 and pickup periods unitil 30 June 2016. This entry was posted on December 2, 2015 by Van Rental. It’s a busy time of year for van rental companies, as demand for extra delivery vans increases in the run up to Christmas. If you need a van at short notice, we’ve managed to get hold of a 5% discount code for Hertz Van Rental. REMEMBER: If you’re planning ahead and need to pick-up a van between 24/12/15 and 31/01/16, then you could save up to 20% on Hertz Van Rental with this discount code. This entry was posted on November 9, 2015 by Van Rental. If our 10% Hertz discount code just isn’t enough, then we have news for you! You can SAVE 15% on Hertz Van Rental until 15 22 November 2015 if you hire a van for five days or more. It’s that simple. Terms and conditions may apply. See Hertz website for details. This entry was posted on September 7, 2015 by Van Rental. The weather may be cooler, but the sales are hotting up! Terms and conditions: Only available on for hire periods between 3 and 14 days. Offer not available on all van types. This cracking offer is valid throughout September. By booking now, you can save up to 25% on van hire right the way through to 20 March 2016! Terms and conditions apply. See Hertz website for details. This entry was posted on September 1, 2015 by Van Rental. After a wet bank holiday weekend, the nights are drawing in. Summer is officially over. 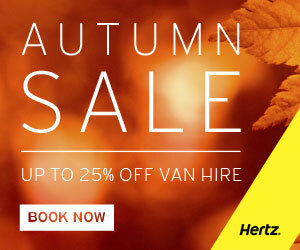 Luckily, you can SAVE up to 25% on van hire in the Hertz Autumn Van Sale! This entry was posted on August 3, 2015 by Van Rental. 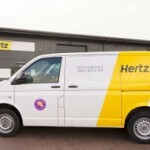 Save 20% on on UK Van Hire this August with Hertz! The school holidays can be an expensive time of year. This great new offer from Hertz Van Rental will help you cut the cost of van hire during August. Terms & conditions may apply: see Hertz website for details. This entry was posted on July 20, 2015 by Van Rental. Saving money on van hire just got easier! For this week only, we have an exclusive 10% discount code for Hertz Van Rental. The code is valid for pick-up periods from 20 July 2015 until 16 August 2015, so planning ahead now could deliver big savings. Terms and conditions may apply, see Hertz website for details. This entry was posted on July 14, 2015 by Van Rental. If you’re hiring a van this summer, then this new 5% discount code from Hertz Van Rental may useful. Hertz discounted van hire prices now start from just £13 per day. This code is valid until 2 August 2015, so get booking to ensure you don’t miss out. This entry was posted on June 29, 2015 by Van Rental. Summer has truly arrived, and with it comes a scorching new 10% discount code from Hertz Van Rental.